Hello there! 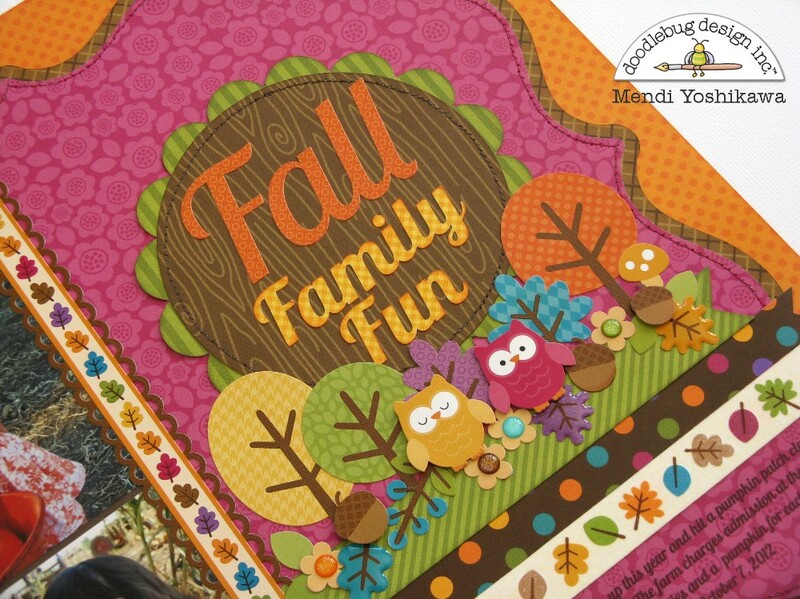 It's Mendi here today with a autumn layout to share using the darling Friendly Forest collection. I honestly can't get enough of all the beautiful jewel tones in this collection! ... And I was tickled pink to discover the little beaver doodle pop layers perfectly onto the beaver label in the This & That sticker sheet! 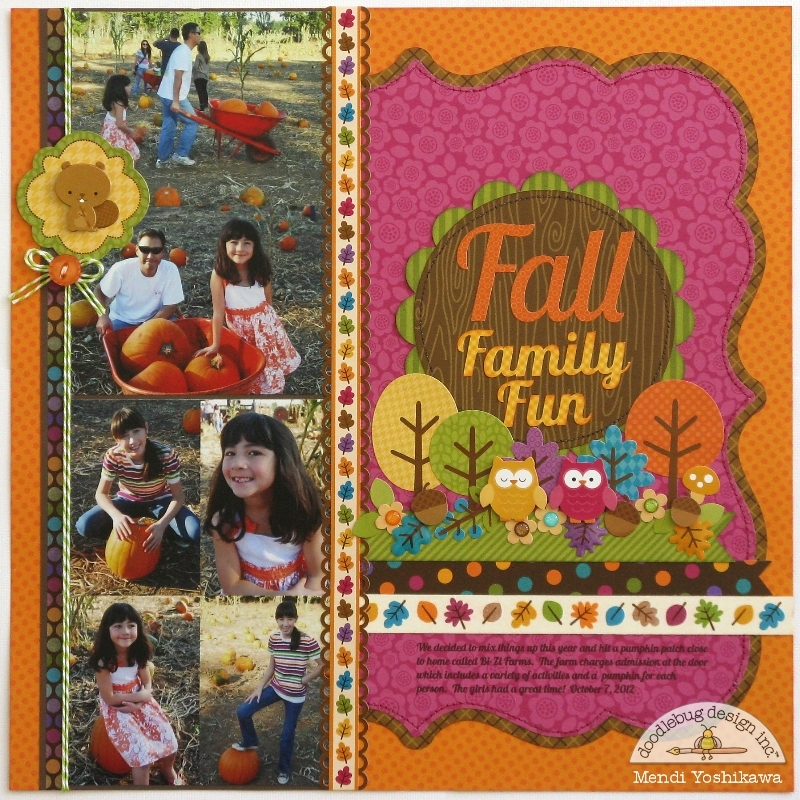 For my title I cut the word "Family Fun" to match the "Fall" sticker using the Lobster font. I layered a little forest scene around my title block using a mix of icon stickers, along with some of the new leaf sprinkle shapes. With the help of some foam tape behind some of my images, I was able to create a little extra depth and interest. I think most of all I adore all the tone-on-tone prints in the line that are perfect for layering. I know I will get a ton of use from this super versatile collection! LOVE your collage of fun photos, LOVE the pretty pinks & tangerines too, apart from being GORGEOUS patterned papers, they really pick up the colors from the photos!!! This is a very cute layout! I love all the little critters. The layouts are awesome! I shared on Facebook! Gorgeous layout! I love the vibrant colors in this collection. Total cuteness! Fabulous design and I can't tell you how much I love those vibrant colors. I shared this post on Facebook with all my scrappy friends! Mendi scored so big on this layout!! Perfection!! Love how beautiful this collection is!! I shared this on facebook!! So amazing!! 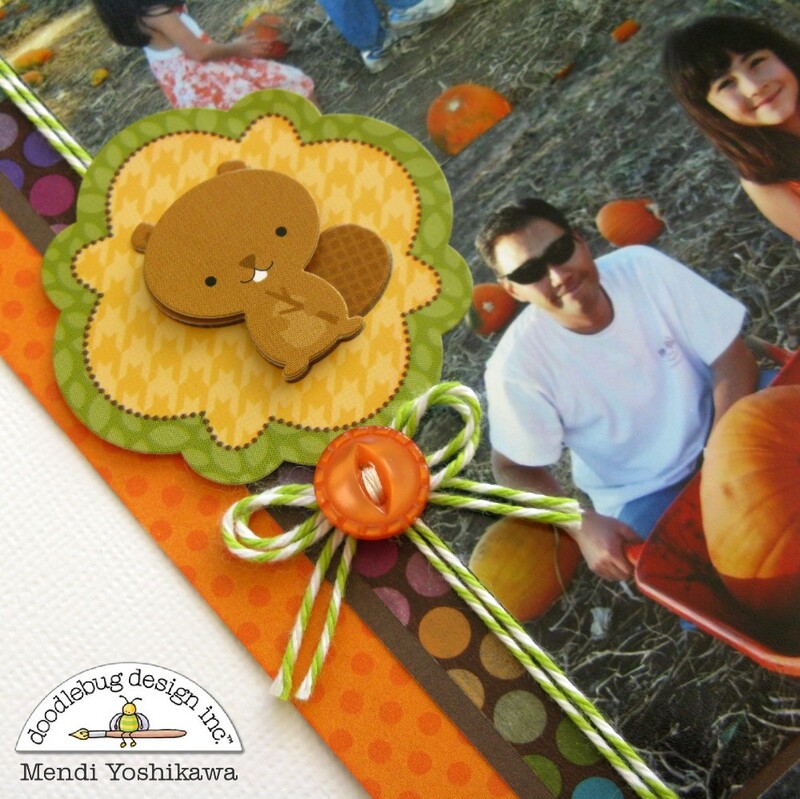 This layout is sweet and adorable as every layout that Mendi makes! Thanks for the inspiration! Love this layout Mendi and pinned it too.